I've always taken comfort in writing down my thoughts and feelings. It's a form of therapy for me, I guess. I love to share the things that God puts on my heart...my hopes, my struggles, and what He's teaching me through it all. I love to share my faith in God and the hope that it gives me. On this page, I've included several of my articles to share with you. If you like what you read and would like to read more, just click on one of the links under Writing and it will give you a variety of posts to read. Hope you enjoy these "Whispers from Wildwood"! Under the heat of noon sun, the woman made her way to the well to draw the water she would need for the day. She resented the fact that she had to wait until the hottest part of the day to take this long walk. The alternative would be to go early in the coolness of the morning, but that would require dealing with much more than this sultry heat. It would mean she had to endure the stares and gossip of the other women in town. She preferred this alternative to being the subject of more ridicule and hurt than she had already endured over time. 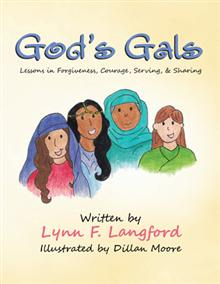 As a young girl, she once had the friendship of these same ladies. But time had changed all of that. Life seemed to have dealt her more hardship than her former friends. Perhaps part of it was her own doing, but life in this small town had not been very forgiving of her mistakes. One poor choice had led to another and resulted in a snowball effect through the years. This Samaritan woman had finally reached the lowest point of her life. She wondered if life was even worth living, but something kept her from ending it all. Something inside of her encouraged her to wait and hope for a better tomorrow. As soon as she drew the water needed, she would return home – the only place where she found any comfort at all. She would begin the meal preparation for that evening and continue the work she had started on a new dress. Having a new dress to wear seemed to help her feel pretty. It had been years since she had felt truly beautiful. Sure, she could attract most men in town with her petite figure and beautiful brown hair and eyes, but that game had long grown old to her. Like the Samaritan woman, I too have known the hurt and pain of one failed relationship after another. After three divorces and raising a child on my own, I felt as if I didn’t deserve true happiness. Through years of making poor choices and battling depression and thoughts of suicide, I felt that I could not escape the hurt and that no man would truly love me for me. But then I met Jesus at the “well” in Scripture. I was searching for someone who could relate to my hurt and pain. Someone who left a broken past behind and embraced the future with hope and certainty. I found that in the story of the woman at the well. 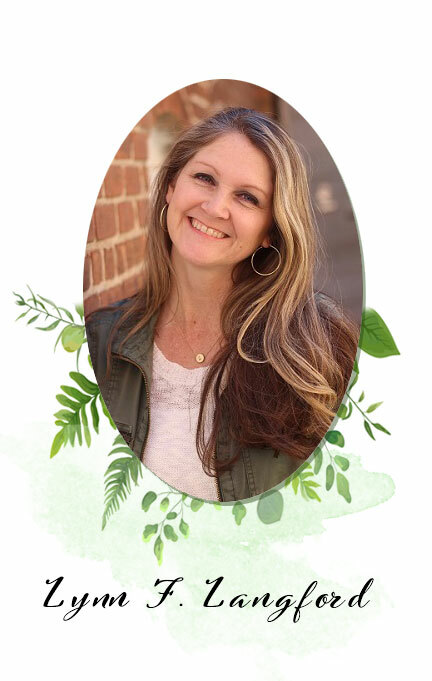 Through her living testimony, I was reminded that not only can He forgive me of my sins, but He also desires to remove the shame of those past sins. He longs for us to live in the light of His love and grace. He longs to use our mistakes to minister to the hurts and needs of others. I believe that as Jesus sat at the well that day and talked with the Samaritan woman, He was also thinking of me. He knew this story would change my life and that I would be able to leave the past behind and take to heart the lessons in this story. I would be able to lose the shame and move beyond the pain. Perhaps you are in a similar place today? 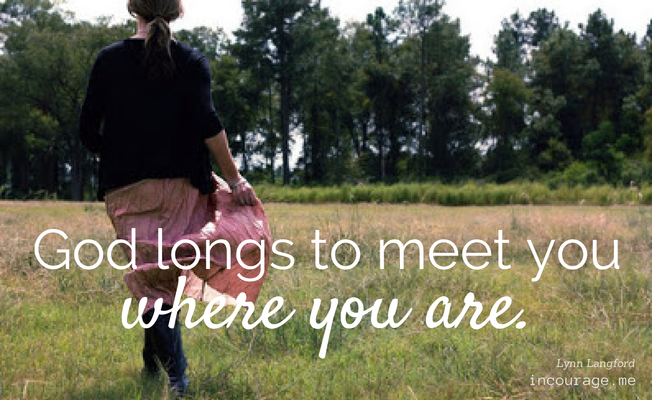 He longs to meet you where you are. In your sin and in your less-than-perfect circumstances. He longs to give you a new beginning and a new found freedom – freedom in Christ. Take the water that He is offering you. It will quench your thirst and quiet your soul. His living water will fill the places of emptiness and loneliness that you have known so long and replace them with his fullness and joy. Life as I know it is about to change. I am now entering the phase of life known as “the empty nest”. For 18 years, I have had the privilege of doing all the things that a mama would do to ensure my son grows up to be a responsible, law abiding citizen with a kind heart and concern for others. More importantly than that, my goal as a Christian mother has been to ensure that my son knows the Lord and has a personal relationship with Him. Like many others, I have spent countless hours in prayer for my child. When he became a pre-teen, I found one prayer repeatedly on my lips – that my son would know who he is in Christ above all else. When we know who we are in Christ, we can know that we are accepted. John 1:12 tells us, “Yet to all who received him, to those who believed in his name, he gave the right to become children of God”. As a child of God, we have direct access to him. We are never alone and we can know that we have a friend in Jesus. Knowing who we are in Christ also gives us a sense of security. As God’s children, we can be secure in who we are and be confident that God will work in all of life’s circumstances to bring about good for us. Romans 8:28: “And we know that in all things God works for the good of those who love him, who have been called according to his purpose”. God’s children can not only feel accepted and secure, but we can know that we are significant. We have been chosen for a purpose. God has a plan for each of us. He wants to use us to bring glory and honor to himself and to reach others for His Kingdom. Ephesians 2:10: “For we are God's workmanship, created in Christ Jesus to do good works, which God prepared in advance for us to do”. My prayer that my son would know who he is in Christ has continuously been at the forefront of my mind as I’ve watched him become the young man he is today. I have seen a timid little boy takes the necessary steps through the years to grow into a talented, determined, young man with the gentleness of a lamb and the heart of a lion. I am excited about the new changes he is about to experience, yet at the same time, I have had to battle the fear of a mother having to let go. I have to remind myself that God is in complete control and walking ahead of my son as he departs home for college. I will no longer be able to see with my own eyes that he is safe and secure at all times, but I know by faith that he will always be under God’s watchful eye and never beyond God’s reach. As my son and I enter this new stage of life, we can both be confident in Christ and trust that He knows what is best for each of us. There is one thing we can count on in life – and that is the fact that life is constantly changing. We can, however, take comfort in the fact that God never changes. He is the same yesterday, today, and forever. As a little girl, I collected rocks of all shapes and sizes. I can remember stashing them in my pockets as I came across them in my backyard adventures. I would gather small stones and paint faces on them, grouping them together as a choir or students in a classroom. As I got older, my fondness for rocks didn’t change, only my use of them. Even now I use them as simple decoration in glass jars in my home or display clusters of them in flower beds in the yard. Just as I have had different uses for a “pocket full of rocks” through the years, I am reminded in God’s Word of the importance rocks can have and the impact they can make on others with their use. In the book of John, we can read about the woman accused of adultery by the religious leaders. As they brought her before Jesus, hoping for his judgment, the crowd surrounded the woman, planning to use their rocks to cast blame and condemnation on her. They pretended they were without any faults of their own and enjoyed watching someone else suffer at an accusing hand. 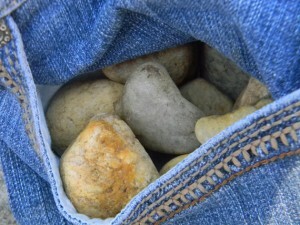 God’s Word also talks about David, a lowly shepherd boy using a “pocket full of rocks”. I can picture David as he attends his sheep in the quiet of the day, always looking for predators stalking the flock. There’s no telling how many wolves he frightened away with that sling shot of his! But one day, David used just one little rock in that sling to slay the giant, Goliath. Armed with the power of God, David did with one rock what no other man was willing to attempt. God’s funny like that. He used an unsuspecting little shepherd boy to do His will because no grown men were willing to take a stand for Him. Jacob used a stone for his pillow while he slept in the wide open one night, the sky overhead acting as a canopy. After dreaming of a ladder with angels ascending and descending from it, Jacob realized that God was still with him, even after all of the mistakes he had made in his life. The next morning, he took that same stone and set it up as a monument to God. He declared that spot to be “Beth-el”, meaning “the house of God”. There is a big difference in the characters in these stories and the use of the rocks in their possession. The rocks could ultimately be used for evil or they could be used for good. We also have a choice to make about what we will do with our own precious stones. Just like the accusing crowd about to stone the adulterous woman with their rocks, I can stand in judgment of others and gather stones to hurl at them, not stopping long enough to see the sin in my own life. Or I can learn from David and make wise use of the rocks I’ve collected. I can listen to the voice of the Holy Spirit and be willing to go up against the giants that I face, to take a stand for the righteous and just. I can also use the symbol of a rock to remind me of God’s sovereign rule over my life. I can trust in His strength and know that He is always watching me and anything that concerns me. As I think about the various rocks I have had in my possession over the years, I am reminded of the most important rock of all – the Rock of our Salvation, Jesus Christ. In Him, we can take refuge. What do you do with disappointment? Have you ever wanted something so badly, only to have your hopes crushed with disappointment? I’m sure this is something that we can all relate to on one level or another. As children, many of us may have been disappointed about a gift we didn’t receive at Christmas. Maybe a parent couldn’t make our ball game and didn’t see the homerun that we hit. As teenagers, disappointment takes on another level as we enter the stage of peer pressure and wanting to “fit in”. Maybe you didn’t have a date for the Homecoming dance or you weren’t able to graduate at the top of your class. Disappointments don’t go away simply because we reach adulthood. Adults can experience all types of disappointments as well. Maybe you didn’t get that job you applied for or a friend betrayed your confidence. Maybe you continue to struggle with your weight no matter how hard you try. Being a Christian certainly doesn’t make us immune to disappointment. Sometimes our plans for ministry fall through. Sometimes God chooses not to allow us to sing that song perfectly in front of hundreds of people. We will all face disappointment in various forms throughout our lives, but it’s what we do with that disappointment that really matters. When I find myself whining to God or even to others about my disappointments, I’m reminded of the children of Israel and how much they whined and complained in the desert on their way to the land God had promised them. I think we can all get a little judgmental toward them at times and wonder why they thought they had the right to complain so much when God miraculously cared for them in such visible ways. If I had a pillar of cloud during the day and a pillar of fire at night to help me follow God, I think I’d be a little more faithful and obedient. The Israelites seemed to forget so quickly all that God had done for them. But don’t we do that as well? A recent disappointment that I experienced caused me to pause and think about the story of the Israelites and how not only God, but Moses had to listen to their whining and complaining so much. God reminded me that I was acting just like the Israelites and that I needed to trust in His provision and His timing. I also heard His gentle reminder of the importance of obedience through the story of Moses in the book of Numbers. No matter how faithful Moses had been to lead the Israelites out of captivity, all it took was one act of disobedience against God to cause him to lose the blessing of entering the Promised Land. In Numbers 20, we find that after the Israelites entered the Desert of Zin, at Kadesh, there was no water for them. Again they gathered in opposition to Moses and Aaron and complained that God had only led them there to die. Moses and Aaron went before the Lord with this need and God instructed Moses to gather the people together. He was to take his staff and speak to a rock before their eyes and water would come forth. But by this time, Moses was still so aggravated with the children of Israel and their whining and complaining that he strikes the rock instead of just speaking to it. And to really show his aggravation, he hits it twice! That one single act of disobedience kept Moses from walking into the Promised Land that he had been leading these whining and complaining Israelites to. In verse 12, God says, “Because you did not trust in me enough to honor me as holy in the sight of the Israelites, you will not bring this community into the land I give them”. What is your Promised Land today? Is there a dream that God gave you long ago that you are waiting for him to bring to fruition? Do others seem to be standing in your way of that dream or causing you to doubt God or allow disappointment and discouragement to set in? Let’s not let our pride and anger with others at times keep us from being faithful to carry out what Christ has for us to do. He has specific appointments for each of us along the way. The journey to our Promised Land, which is ultimately heaven, is full of hope and inspiration to counter any disappointment we may incur. Sometimes we long for things that aren’t in his will. That can lead to disappoint too, but it will only be temporary if we will set our sights on him and trust him to bless us through our earthly disappointments. Everything is in God’s perfect timing. Sometimes we have to wait, but let’s worship while we wait and not let disappointment and discouragement set in and keep us from reaching the Promised Land and receiving all the blessings God has in store for us. Click here to see more of my personal and published articles. Hope you enjoy!